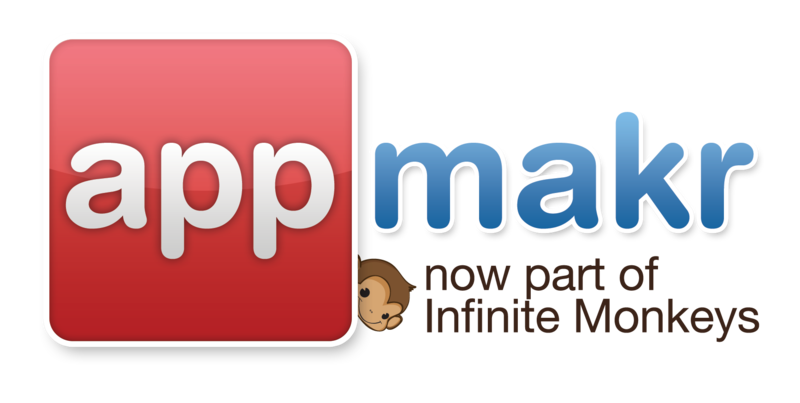 For the Monkey Business plan; does Infinite Monkey still upload the app to both the AppStore and Play Store for the user? Do you need to pay additional monies after (to Apple or Google) to publish the app to the AppStore and Play Store? We will help publish the app regardless of either service choice. The main difference being is that we submit your app for publishing to ALL of our premium external app markets such as Apple's iTunes, Google's Play, GetJar, etc. when you subscribe to the $9 per month service. Note: Approval for publishing in the external markets is subject to a quality review. We cannot be responsible for the possible approval / rejection they may make. You decide where you would like to publish your app in markets such as Apple's iTunes or Google's Play when you pay for $99 One-time charge. We can and will help publish your app to the premium stores, if it is needed. This is option is popular with customers that like to receive the app codes so that they publish the app themselves wherever they like and using their own brand names. I hope this answers your questions, if not please simply send an email to our Support Team at support@infinitemonkeys.mobi and we will glad to answer your questions or clarify our answer. I pay it 9$,and how can i see for how much money you will selling it? We will send you a confirmation email regarding receipt of the payment and also notify you when the app has been submitted to the premium stores you have chosen. The process for their approval and for it to go "live" in the premium may take from 1 day to 2 weeks. The truth is, nobody knows an exact answer to this question because it is purely in the control of Apple, Google, etc. We will do our best to get you in to the premium stores, but the reality is that at the end of the day, they may still say No, and there's no court of appeal. That's why we also offer you several app store options where you can distribute your app, including our Monkey Market (free and instant). I hope this answers your question, if not, simply reply back using this email. Answer was just ok. I we got my app in android market,and that is super. But listen,one more thing. i dont want that is my app free. can you help me that i that somehow sell for a certain price. 1. how have some price of app and earn money without buy packet of 99$? 2. first time this big packet was 99 $,now is 90 $ , will he always decrease when I will buy this small paket of 9 $ ? 3. What happens if I do not pay on time monthly? THANK YOU VERY MUCH,YOU ARE THE BEST !!!!! I need every day when I put the new information in the application, go to publishing or to be otherwise? when I put publishing now I have to wait again to publish aplication to Android Market? hi, can you tell me the all the payment methods beacause i'm a teenager with no paypal so are there other methods to pay 99 dollars? maybe through ads or gift cards?